Available in 18 designer colors and styles. 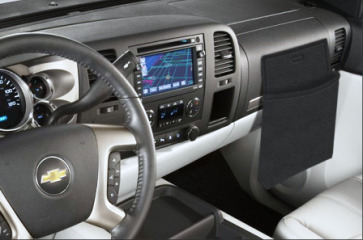 Easy to install, attaches to the dashboard with velcro. Coverking utility caddy pouch serves as a multi-purpose pocket storage for all your small belongings. Slip in your iPod, mobile phones, hand-held navigation and more.